Sometimes I have no choice but to confirm how weird I am. Especially when it comes to what moves me, including in my choices of music. It wasn’t hard for me to become a Michael Bolton fan when his first solo album dropped in ’87. “That’s What Love Is All About,” a minor hit, was something I enjoyed then, but appreciate much more now as a married man than I possibly could’ve as a freshman at Pitt. “Sittin’ on the Dock of the Bay,” well, that’s another story. It’s a fine cover version (something that Bolton grew all too fond of doing in the late-’90s), but nothing will ever replace the Otis Redding original. The summer of ’91 was the clincher for me regarding Bolton and other artists from that period. I was in the midst of getting over myself getting over E (see “The Power of Another E” posting from April 2009) when I first heard Bolton’s “Time, Love and Tenderness.” 02 Time, Love and Tenderness.wma I was on my way home from work at Western Psych that hot and sweaty July evening, walking at Warp 3 like I always did back then when the local pop station began playing the song. I also knew the moment I heard it how schmaltzy it was. But it was exactly what I needed to hear and at the time I needed to hear it. I fell in love with the song immediately, and would eventually by the album. “Time, Love and Tenderness” remained one of my pre-iTunes playlist songs for the next three years. 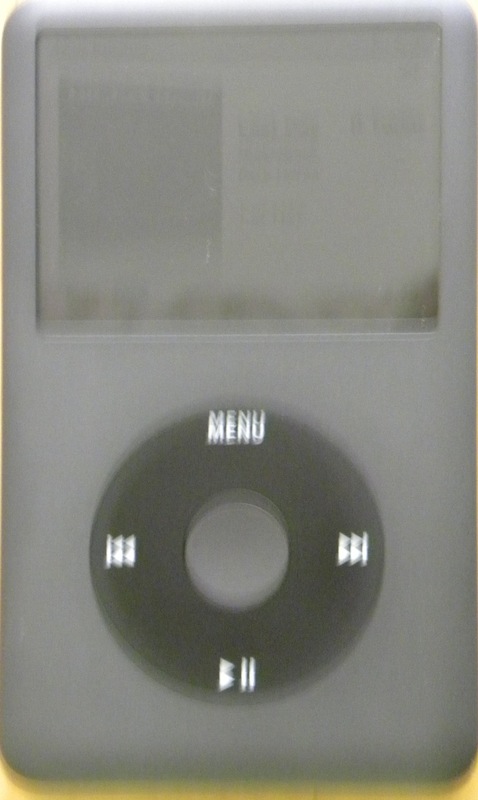 My iPod, July 21, 2011 (Source/Donald Earl Collins). Every song named here is on it, but rarely do I play them consecutively. (“Crazy” — I’ll talk about more in another post), Lenny Kravitz (“It Ain’t Over ‘Til It’s Over”), Vanessa Williams (“Comfort Zone”), and Mariah Carey (“Make It Happen”). Not to mention PE (“Can’t Truss It”), Naughty By Nature (O.P.P. ), and Boyz II Men. It was the beginning of a new period of music experimentation for me, all caused by me tiring of being the odd wheel in a sea of dating friends. It was the early ’90s, and I could already see how much music was changing. Fewer synthesizers, a faster more rhythmic pace, a much greater fusion of genres and styles. Heavy metal was morphing into grunge and White booty-call songs were turning into passion tales of White male (and female) angst. Whitney Houston’s music was becoming hip, and Michael Jackson was steadily making himself less popular. With me weeks away from beginning grad school, I felt like I’d found theme music that would fit nicely with my times. Within a year and a master’s degree of “Time, Love and Tenderness,” I would add Grover Washington, Jr. and Jon Secada to my growing and eclectic music collection. Jon Secada? For many fans of the Miami Sound Machine (Gloria Estefan, et al.) not to mention various subgenres of Latino music and Latino fusion, Secada might as well have been Neil Diamond or Michael Bolton. But for me, it gave me a window into other forms of music that I didn’t have or understand before. The dogged and soaring passion with which Secada sang his “Just Another Day” I’d only heard in gospel or with divas like Patti LaBelle, Chaka Khan, Whitney Houston and — in the first two years of the ’90s — Mariah Carey. Men didn’t sing like that, certainly not in pop music! I became enthralled with Secada and Bolton, Grover and Mariah, so much so that I continued to branch out. Coltrane, Celine Dion, The Cranberries, Sarah McLachlan, Pearl Jam, Tupac, grunge, world music, New Age — Deep Forest, Enya, Enigma — along with neo-soul — Maxwell and Erykah Badu — were all in my collection by the time I finished grad school. Still, I needed my schmaltz, and I still do. Michael Bolton, for all of his vanity and overestimation of his voice (he’s done duets with Patti LaBelle and Celine Dion, for goodness sake’s), has been a part of my musical memory for twenty-two years. “Time, Love and Tenderness,” for all of its ’80s-esque quirks, is by far my favorite song by Bolton. It made the second half of the summer of ’91 not only bearable, but fun. It reminded me of how innocent I still was, of how it was a must that I keep my heart open to the possibility of love, even though I would undoubtedly get hurt from time to time. Life is like that sometimes, and in my case, most of the time. I find myself learning more from loss, more determined because of betrayal and more committed when others tell me I can’t do something, like earning an advanced degree or doing a job successfully. For those times, schmaltzy music is often where I revert to for strength and encouragement, for the ability to move forward.